When I was growing up my Uncle Bob was my dentist. He was a great Uncle but all the kids in our family were scared to see him at his dental office because it could hurt. I never liked going to the dentist and never thought I would someday become one. I decided to become a dentist because of my older sister Maura. She went into dentistry before me and thought I would like it too. It turned out she was right. Dentistry has been a wonderful profession for me. Especially because I understand what it is like to dread going to the dentist. I have made sure our patients can feel comfortable coming to see us. I like dentistry so much my wife calls me the "dental nerd" sometimes because I actually enjoy reading dental journals and creating new and better ways to help our patients. I feel it is extremely important to take the time to talk to our patients and give them options on how to take care of their teeth. I also believe that all our patients should be treated with courtesy and respect and should always feel welcome and know they will be well cared for when they come to us. I am also able to donate dental care to those less fortunate and this has made a real positive impact in my life. Aside from dentistry I enjoy reading across a wide range of topics some of which are: health and fitness, service industry, personal growth, biographies, world cultures, and any book a patient thinks I would like. 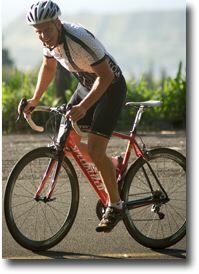 For physical activity I go to the gym, ride my bike, hike with my family, and golf occasionally when time allows. My life isn't all work, reading, and exercise though as we are blessed to have some time left to spend with friends and family just relaxing and enjoying the beauty of Hawaii! Dr Devereaux does great work, as does his hygienist, Katrina! Dr Devereaux does great work, as does his hygienist, Katrina! He and his staff seem to care about taking care of my oral health instead of just trying to sell me a lot of unnecessary cosmetic services, as do most of the other dentists I've tried. The office is impeccably clean and the chairs are comfortable enough to fall asleep in! I wish I would have asked the assistant's name because she was the greatest. When Dr. Devereaux was numbing me, she patted my shoulder, ever so gently, as if to comfort me. All I could think was she would be great for children! He has a gentle touch, especially with the injection. I was in & out in about a half hour. I have definitely found my permanent dental practice, thank goodness! I've spent the last 4 1/2 years in search of it and I can FINALLY stop looking! I Love You Guys!!! I love that I can text the office as needed. I love the fact that Dr. Devereux himself called me days after my procedure to check that my tooth was doing good! I love the level of customer service everyone provided me at all times was nothing less than professional and friendly! Great cleaning and checkup, friendly staff, office has nice energy and I totally trust Dr. Devereux with my teeth. I have always said that I have the best dentist office in the world. 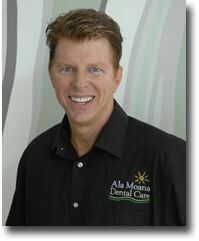 I would recommend Dr. Devereux and Ala Moana Dental Care to everyone. The treatment and service is unmatched. I can't thank them enough for taking care of my kids and I for the past 10 years. Exceptional experience! From the peaceful ambience, the excellent client service, to the quality care from Dr. Devereux . . . thumbs up! You raised the bar in dentistry. As always Dr. Devereux and his group go above and beyond. They are so professional and make my family and I feel so comfortable, always. I don't think anywhere else could compare and is easy getting my 5 and 2 year old to go. We travel all the way from North Shore to get the excellent service they provide. Much mahalos to Dr Devereux and his staff. I think Dr. Devereaux and his team are the best! Even when I am having very difficult work done on my teeth, they make it a pleasant experience. THANK YOU DR. DEVEREAUX and EVERYONE AT ALA MOANA DENTAL! My experience with Dr. Deveraux My exposure to the rest of the staff has been excellent as well. In particular, Sharon. deserves high praise for the exceptional skill and thoroughness she displayed recently when cleaning my teeth. My thanks to everyone at Ala Moana Dental Care. My experience with Dr. Deveraux simply could not be better in any way. He displays exceptional knowledge and skills in dentestry, but more than that he is quite rare in how much he invests in listening carefully to my concerns and to providing me with options to best meet those concerns and solve my immediate and long term dental needs. My exposure to the rest of the staff has been excellent as well. In particular, Sharon. deserves high praise for the exceptional skill and thoroughness she displayed recently when cleaning my teeth. My thanks to everyone at Ala Moana Dental Care. I came in to have a broken crown replaced - never a fun prospect. The injection was painless, and the work went smoothly and I was out of there in no time. All the staff is friendly. Love Dr. Devereux! I hadn't seen Dr. Devereux in about 5 years until my appointment yesterday. It was great to see that the service provided by his staff and himself remains excellent. The visit also reminded me of the fantastic work he did fixing a broken front tooth for me 10 years ago (I lost half of one of my top front teeth in an accident). Many dentists would have abandoned the entire tooth, but he was able to place a cap on the bottom half of the tooth, and that cap has held flawlessly to this day. I HIGHLY Recommend Dr. Devereux. Dr. Devereux and his team give such excellent dental service, you barely notice "the slight pinch." He has saved me from disaster two times now, with great care and kindness. I am very grateful for their healing presence on O'ahu. From the greeting at the front desk to the ease I felt during my dental treatment, this was by far my best dental visit ever. Dr. Devereux was very informative through my whole procedure giving me the play by play of every step. And the casual conversations that took place between me, Dr. Devereux, and his assistant made me feel as though I was just hanging out with some new friends. The cherries on top of everything were that his office takes care of all of my insurance claims, and the parking is free! I can't wait to go back for my dental cleaning next month. Thank you to everyone at Ala Moana Dental Care!! My experience at Ala Moana dental was great. Staff is really nice and dr. Deveraux is one of the best I've dealt with by now. I would definitely refer them to everyone. I have received excellent treatment on all levels like always and refer all my friends to Dr. Devereux. Thank you Ala Moana Dental Care. I feel at home there. I feel respected. I did go to other dentists over the years who were very good, but Dr. Devereux is the class of Honolulu for my needs. I appreciate the large, professional staff and the way they make you feel welcome. I almost never have to wait much, and the referral (specialist) they made for me extended to me the same great treatment. Again, others are good, but Dr. Devereux and his staff are top notch and make going to the dentist fun. 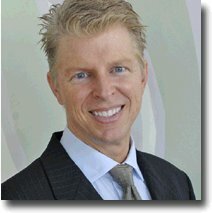 I was first introduced to Dr. Devereux and his outstanding staff by my wife, nearly 17 years ago. I have been using their services for all my dental needs, since then. The personnel at Ala Moana Dental are very professional, caring and excellent at what they do. I can't say enough to describe how they have helped our family maintain our dental health. Dr. Deveraux and his staff had me in and out with a replacement crown in nothing flat. Very professional, competent, courteous and helpful. I'd highly recommend Ala Moana Dental Care to anybody. The office is attractive, the staff are helpful, and I was able to have a procedure done the same day after being checked by Dr. Devereux after my teeth cleaning. Thanks! I became aware of your clinic through crowdsavings. Had it not been for your partnership with them, I would never have thought to try you since I live in Hawaii Kai, but the deal was so good that I decided to give you a try since I'm looking for a new dentist for me and my family anyway, and I'm so glad I did because I was very impressed with your office, staff, hygenist Katrina, and Dr. Devereaux. Everyone was very nice and took the time to answer all my questions without feeling rushed. You also had the thyroid guard when taking xrays. Another big plus was the full parking validation. If not for that, I would probably not consider future visits to your office but it is just another reason to make you our family dentist. Also, since we don't have dental insurance, we very much appreciate your own dental plan to anyone who wishes to join, and your on-going $49.00 teeth cleaning offer which I am taking advantage of every 6 months. Mahalo for making dental care more affordable to us and the masses! Dr. Devereux and his staff are the best! Dr. Deveroux, you and your whole staff are great--helpful, informative, caring and friendly. Dr. Declan Devereux is the Best Dentist I've ever had in my 62 years! I wish I had discovered him and his wonderful staff & facility years ago. Great Job Doc Devereux! Was in the day after I reported my unfortunate event of breaking a molar on a chicken bone!!!! Go figure, just before Xmas, my kind of luck... But, in the end, was happy to get an appointment so quickly, and turned out, this tooth was already cracked on the inside, so turned out to be a blessing in disguise. The work was done quickly and at a reasonable cost , as I have no Insurance...Thanks again, to a great team! I had the best experience at Ala Moana Dental Care. I HATE going to the dentist but after my 2 visits with Dr. Devereaux and his staff, I have changed my mind. From the cleaning to the procedure it all went without a hitch. There was no pain, they saw to my comfort and it was great. Thanks so much!! I was so impressed with the service after a scare over the weekend when my tooth fractured while having a late lunch on Saturday. I called the cell phone numbers of Dr. Maddo and he responded quickly to my voice message. He scheduled an early a.m. appt with Dr. Devereux for Monday, and I was pleasantly surprised to see a full staff working since 6:30 a.m. Monday. My temporary crown cracked again the next early a.m. & I quickly rushed back to Dr. Devereux after 6:30 a.m. without calling for an appt, and was quickly serviced again and made in time to work at 7:30 a.m. without calling in late. Both doctors and staff should be commended for a great team effort to accommodate "patients in need" like me. and it was also a pleasure to finally meet Dr. Matto and know that my care is in good hands even when Dr. Devereux is too busy to see me LOL! Continued success to all! Staff was really nice and helpful. Dr. D did an awesome job. He was gentle, informative and funny. I was very comfortable, relaxed. Best procedure I ever had. My first Consultation/Second Opinion experience with Dr Devereux and staff was of a Friendly,Professional and Efficient group. The Office has a futuristic ambiance. Having been a Telecomm/Wireless Engineer I found the personal communicators each of the staff has to be a novel and efficient business method ! I used to dread going to the dentist and would literally shake in the chair after having had such bad experiences in the past but I don't worry at all anymore because I know I am in the best hands with Dr. Devereux and his staff. All of the care I have received here has been absolutely outstanding, everything I always hoped for when going to the dentist. It just does not get any better than this and when I decide to leave Hawaii I will actually fly back here for my dental care as needed, that is how satisfied I am with Dr. Devereux!!! "When I called Dr. Devereux and Associates I told them that I just wanted a cleaning -- they said "no problem." I have never experienced a more thorough and yet gentle cleaning than the one I received at Dr. Devereux's office. All my stains were removed and I just loved how fresh my breath was and how smooth my teeth felt." My first visit with Dr. Devereux and Associates was awesome! The staff made me feel extremely comfortable -- they gave me a headset so I could listen to music and wrapped me in a blanket so that I felt cozy and warm. Dr. Devereux was so gentle I didn't feel a thing during the procedure." Growing up in Thailand meant that having straight teeth was only expected of movie stars. Once I moved to Hawaii I realized that here everyone wants straight teeth. Luckily I found Dr. Devereux's office through a friend who told me about how they could straighten my teeth with Invisalign. At the consultation appointment Dr. Devereux showed me how Invisalign could help me and since it was affordable I got started right away. That was a year ago and now I have that "movie star" smile that I never thought could be mine." "I had crowded teeth my whole life but never considered correcting them until Dr. Devereux's hygienist Sharon told me about Invisalign. When I saw how simple it was and that it wouldn't interfere with my life or be noticeable I said why not. I wore the aligners just like they said to and was amazed as my teeth got straighter and straighter. Now I get so many compliments on my smile that I only wish I could have done it sooner." "For years I had wanted straight teeth but didn't want to go through the embarrassment of braces. Then I heard about Invisalign. I wasn't sure that Invisalign would work for me because my teeth were pretty crowded but I wanted to find out. I did some research and decided that Dr. Devereux's office was the place to go for Invisalign. At my first visit Dr. Devereux showed me cases that he had treated that were worse then mine. Once I knew that Dr. Devereux could straighten my teeth with Invisalign I couldn't wait to start. I feel a lot more confident in myself now that I love my smile. I am so glad that I had Dr. Devereux do my Invisalign." Articles written and published by Dr. Delcan Devereux.